This week, I decided to incorporate one of the Hip Kit Freebie Friday cut files (coming to you in the Hip Kit FB Forum, this Friday) on my layout. 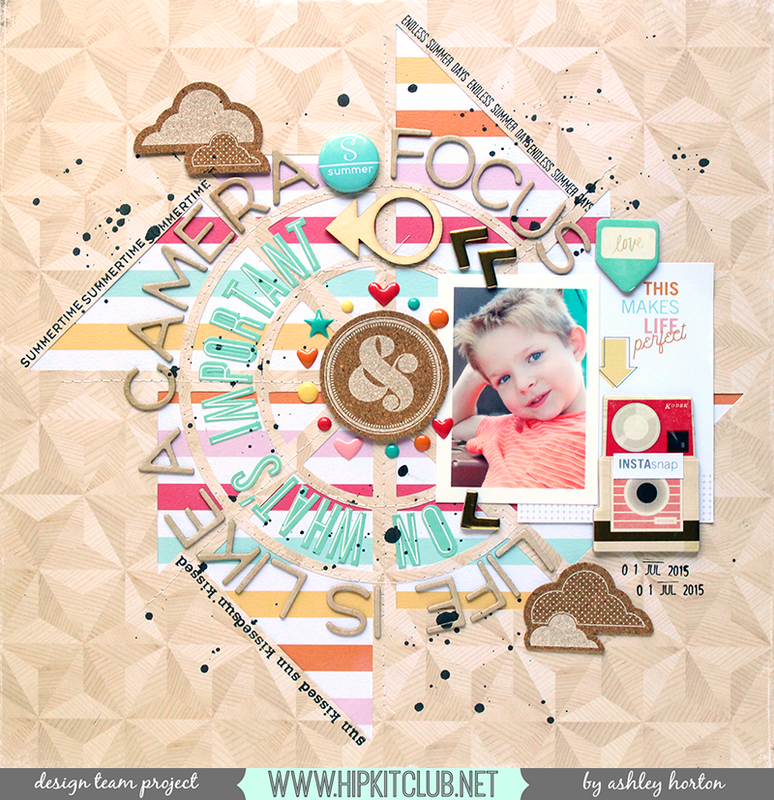 I was inspired by the July 2015 Hip Kit & Add-On Kits, to create a Pinwheel designed cut file. The colors and patterns are perfect for your Summer layouts, and Summer always makes me think of Pinwheels. I started my layout, by cutting the Pinwheel cut file on my Silhouette Cameo, from the Crate Paper patterned paper included in the July 2015 Main Kit and the Paper Add-On Kit. I wanted some color behind the cut file, so I backed it with the bright striped paper from Fancy Pants. 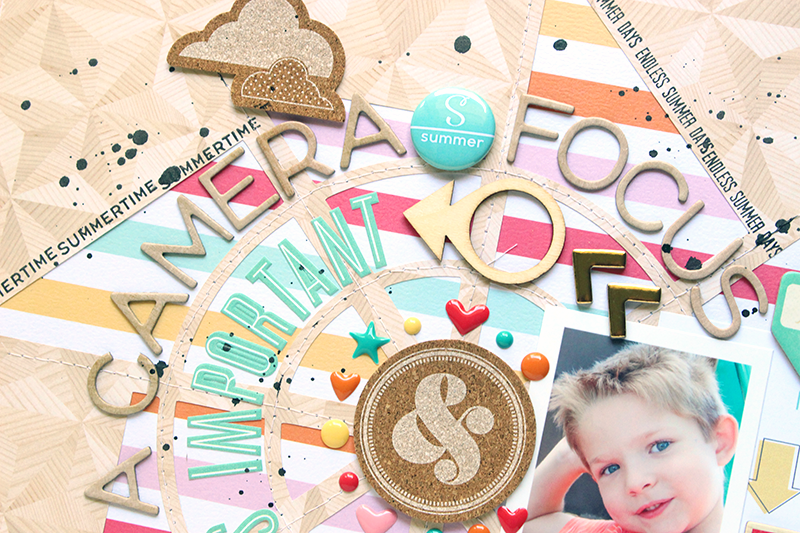 Once my background was completed, I layered my photo over one of the cards in the Project Life Add-On Kit, and then decided to add my title along the circle shape of the cut file. I used the Crate Paper Thickers and the October Afternoon letter stickers from the Project Life Add-On Kit to create the title. There are so many fun embellishments in the July Kit, and I couldn’t decide what to use, so I went with a little bit of everything! I love the Shimelle Cork Stickers from the July 2015 Embellishment Kit, and the Ampersand was perfect to add at the center of the Pinwheel. I also used two of the clouds from the Cork Stickers, to create a diagonal line, with the clouds and Ampersand. And the October Afternoon enamel dots are so fun, because of the mix of shapes. I alternated the dots, hearts and stars around the Ampersand at the center of the cut file. The Embellishment Kit also includes an October Afternoon phrase stamp, and I used it to stamp around the outside edges of the Pinwheel, in Black ink to add some contrast and define the outside lines of the cut file. I also have a new Process Video, to go with my layout, so you can see how I put my page together! 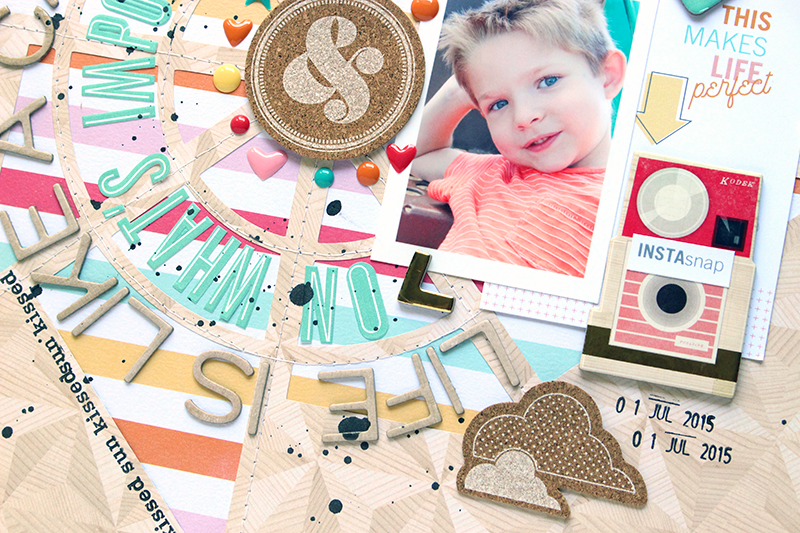 If you haven’t had a chance to get your July Kits, make sure you visit the Hip Kit Website! You definitely want to get your hands on the July Kits, before the August Kits start shipping, because I know you’ll love what’s coming up for August! And make sure you check the Hip Kit Facebook Member Forum this Friday, to download the Plucky Pinwheel cut file! And don’t forget about our new Subscriber offer! You will receive a FREE Paper Add-On with your Subscription! Just use the Code ashley, when you sign up for your subscription! I am from the Southern US, where I live with my husband and our three children. I am a work at home mom, and we are a home school family. I love to document photos of our family, and Scrapbooking is more than just a hobby, it's a way of life around here! Currently, I am designing collections for Pretty Little Studio, which include Oakley Avenue and Tinsel Town! I am also a part of several Design Teams and own The Cut Shoppe, which sells Digital Cut Files, Printables and more. You can also find me teaching at Big Picture Classes! 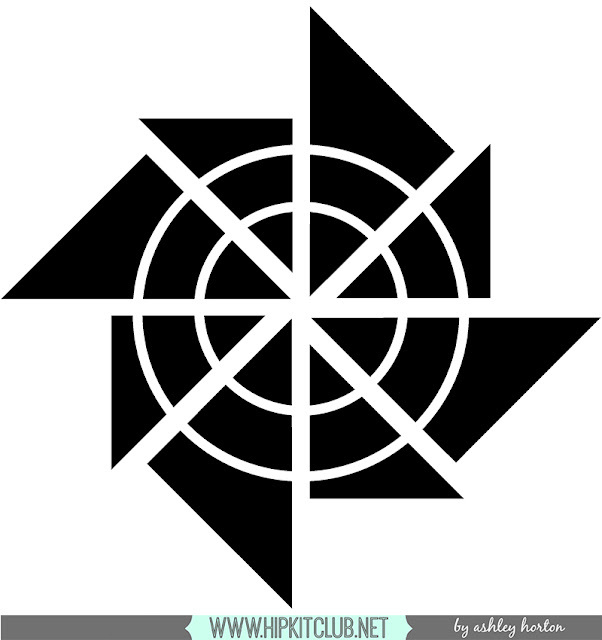 If you're looking for me around Social Media make sure you check my links on the Blog sidebar.